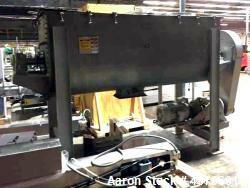 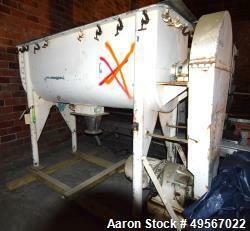 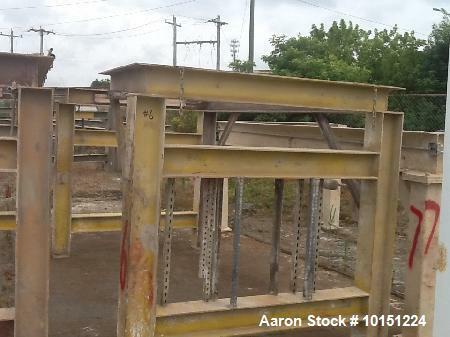 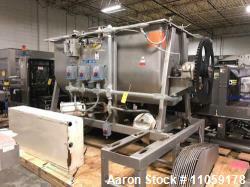 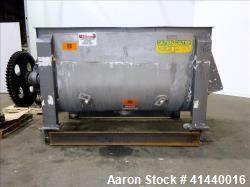 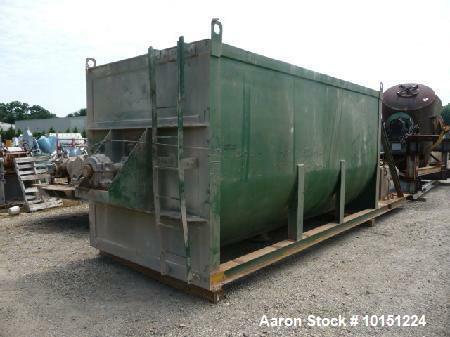 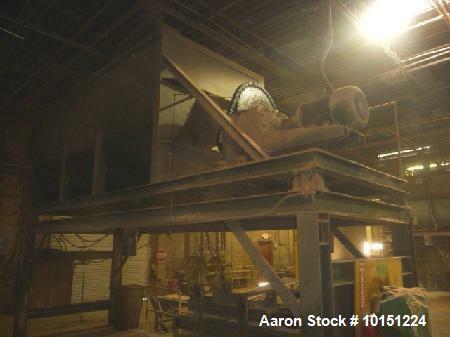 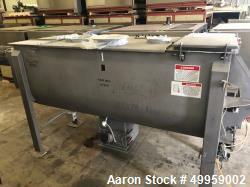 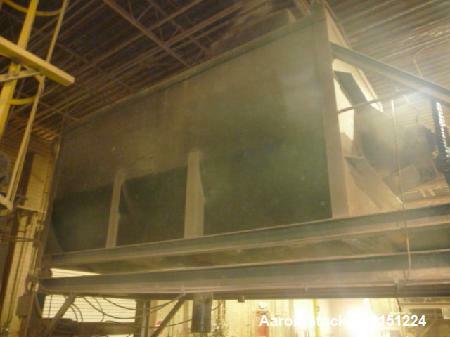 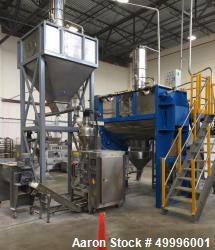 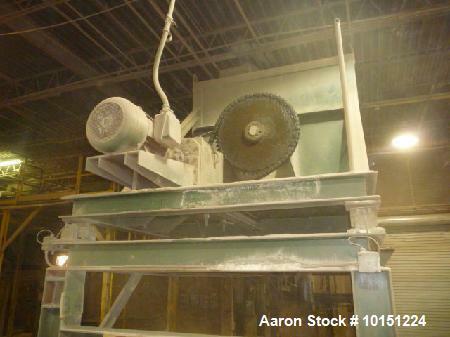 Used- Double Ribbon Mixer (steel). 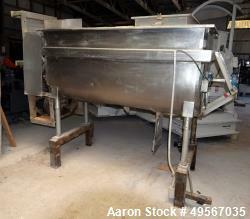 Used- Double Ribbon Mixer (steel). 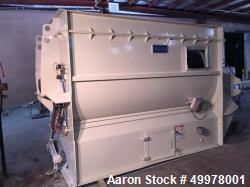 Approximately 730 cubic foot working capacity. 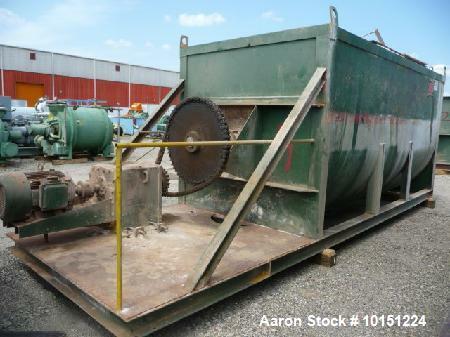 Chain driven by a 75 hp 230/460 volt motor to gearbox with 30/1 reduction. 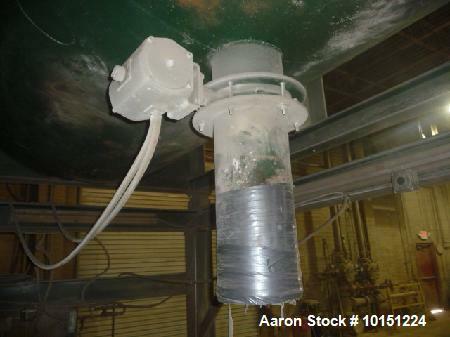 Has 10" center bottom outlet with butterfly valve. 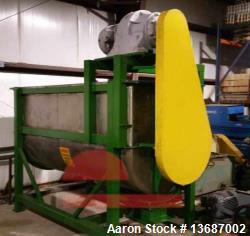 ribbons are 1/2" thick x 4" wide for both inner and outer ribbons. 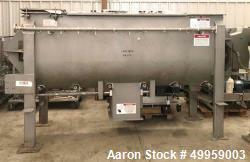 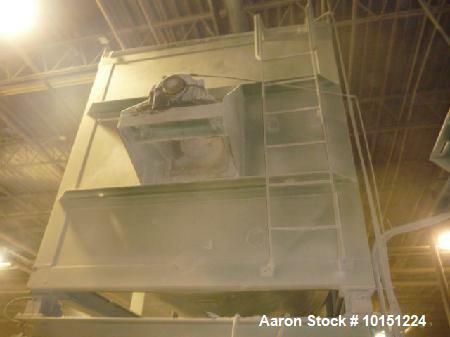 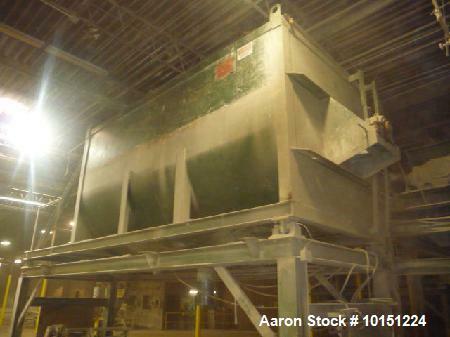 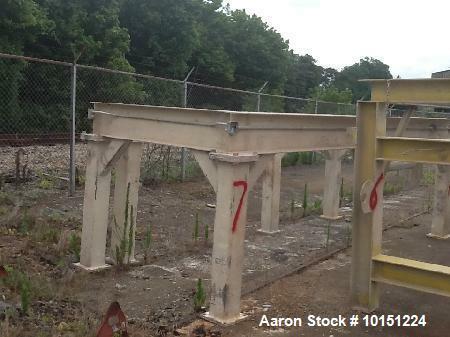 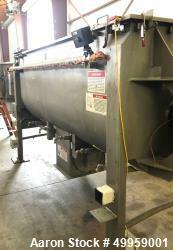 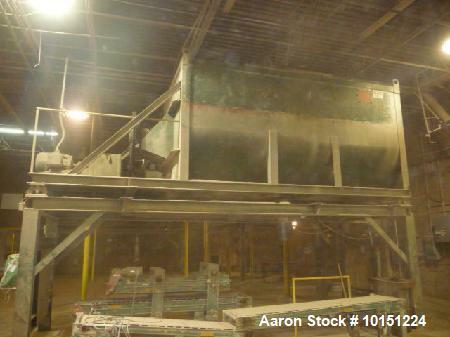 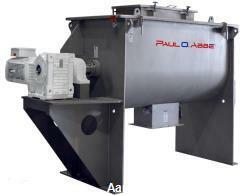 Mixer is mounted on stand supplying approximately 6' discharge height with load cells and control. 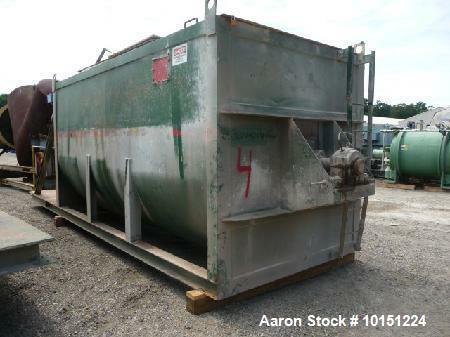 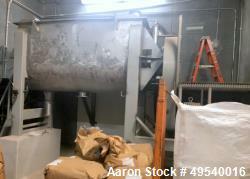 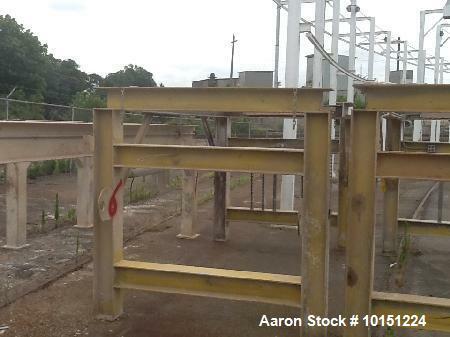 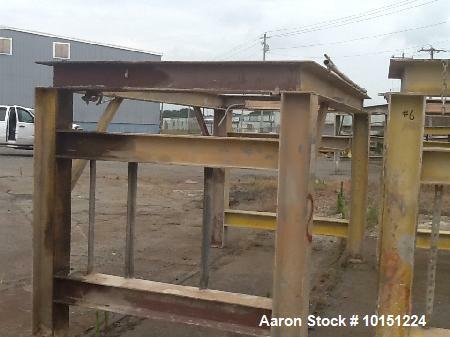 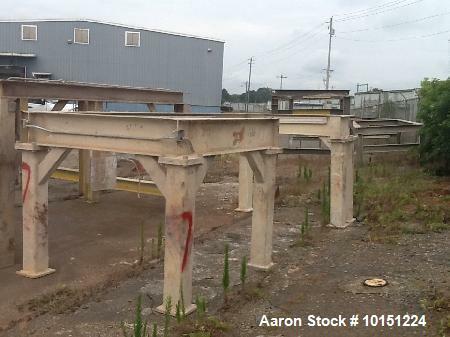 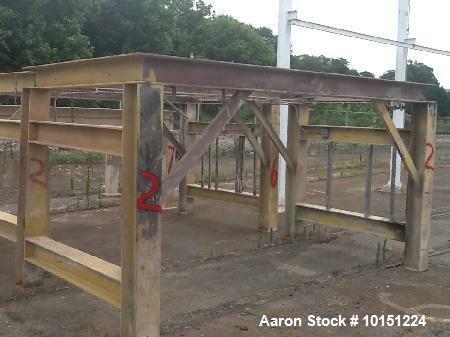 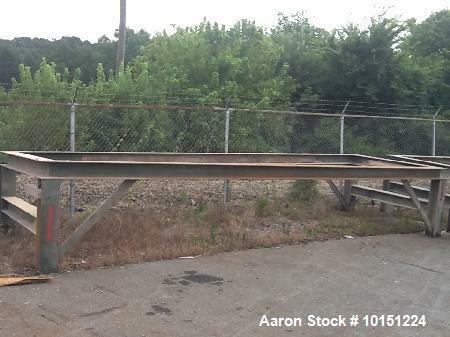 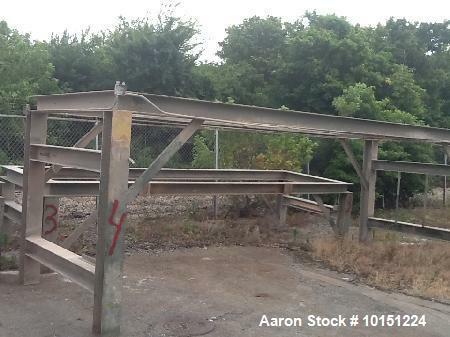 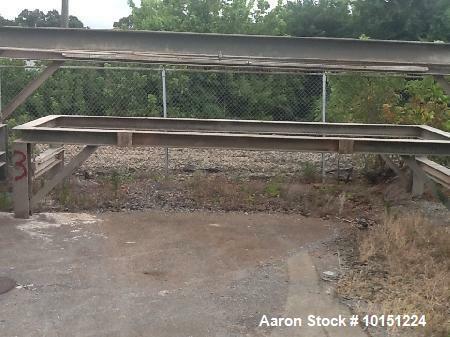 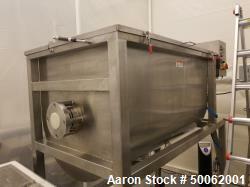 Includes "soft start" starter, top covers, non-jacketed body, 92" wide x 192" long x 95" deep.